Most Brooks Hill real estate is located in the bend of the first switchback on the gently rising former railway called Boreas Pass Road. A few have their driveways on Boreas, but the majority lay around a level cul-de-sac near a wetlands of Illinois Creek. It’s an easy walk or bike to town from any Brooks Hill home for sale. The cul-de-sac is just a block off Boreas, which has a paved bike/walkway all the way to town. Just ten minutes down and about 15 home — by foot. The free countywide bus stops nearby the upper lots at the base of Illinois Gulch Road. All Brooks Hill homes for sale were custom-designed and built for their first owners. They are large, with garages, basements and high end finishes. The lots are large, and only one remains vacant. Several walking trails begin in this area and it’s possible to walk to town or the national forest from here. Biking along the well maintained, paved Boreas Pass Road is doable for road and mountain bikes, and several single track trails can be accessed from here. Size: 2220 to 5713 sq. ft. 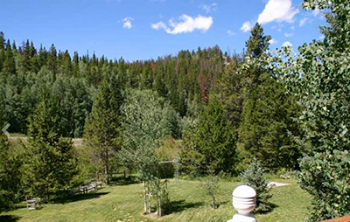 Amenities: close to town, large homes, small neighborhood, close to hiking, biking trails. To find homes in Brooks Hill, turn left onto Boreas Pass at the southern most stoplight in Breckenridge and continue to Bright Hope. Turn left on Bright Hope and within a block right on Brooks Hill Drive. 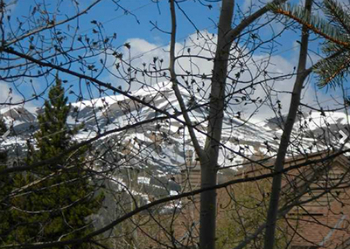 A few more of the homes in this subdivision can be driven to be continuing further – half way around the first switchback on Boreas Pass Road. These homes are located both left and right of Boreas on short private roads.